Vic Braden died this afternoon. He was 85. 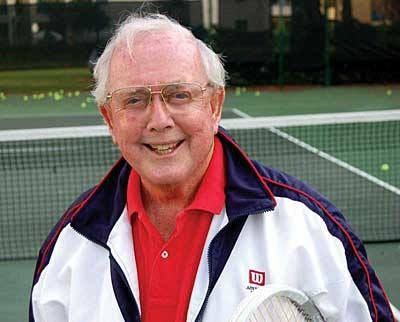 While my very, very first tennis coach at the Jack Kramer Tennis Club–when I was about nine or ten–was an English man named John Melhuish (a Google search turned up the small fact that he once played a first-round match at Wimbledon in 1955, and lost, but hey, Wimbledon! ), and while I took a few lessons (not many) from Del Little, also at the Kramer Club, Vic was my guy. When I think of who taught me to play the game of tennis, who gave me beautiful and fluid forehands and backhands especially, it was Vic without question. For years, I took semi-private lessons, most often with my friend Judy. I may also have taken some privates–I just can’t remember. But what i do remember, very fondly, were the countless upon countless Friday night junior workouts that Vic conducted for years. Usually a couple dozen teenagers (and maybe pre-teens, too) crowded onto the court for an hour or two of fast-paced lessons and games. Super fun and highly instructive. He knew the mechanics of the game like nobody else, and how to instill perfect fundamentals into all of us… while making it incredibly fun. He made you laugh… always laugh. I looked forward to the workouts. He laughed throughout, used colorful language (not swearing, just colorful, descriptive, funny expressions), kept things moving. We wanted to be there. It was the place to be. He also had a way of making you feel like you were a shining star. Always special, always talented, always gifted. Everyone. We rooted for each other when we weren’t laughing at each other. And we all came out with exceptional skills. Many went on to greatness (number one in the world greatness, like Tracy Austin). With few exceptions, I’ll bet most still play the game. I ended up teaching tennis for years (four or five) after graduating from college. I used the same games that he used on us, employed a lot of the same instructional techniques, but I was definitely not Vic. He was a phenomenon. As the obits will surely say, a legend. Rest in Peace, dear Vic. And thanks. 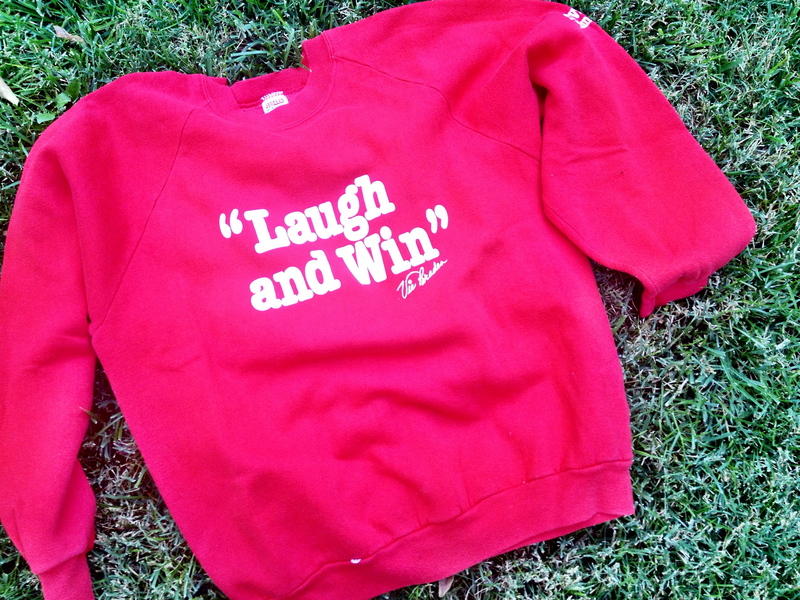 The sweatshirt’s a little small, but I’ve kept it all these years. That is so cool that you’ve kept that sweatshirt! We get rid of so many things that we wish we hadn’t. Or, some say to take a photo to remember it, less clutter that way. It just isn’t the same as holding it, smelling it and having all of those great memories flood back. Thanks for sharing!